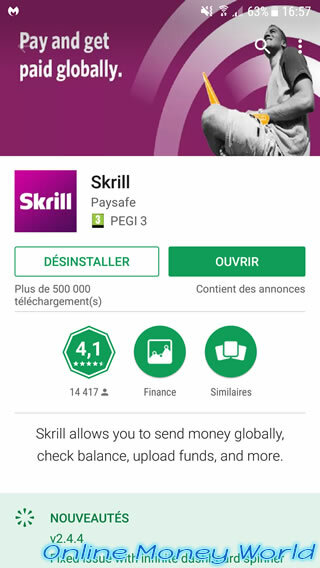 How to verify my Skrill account ? 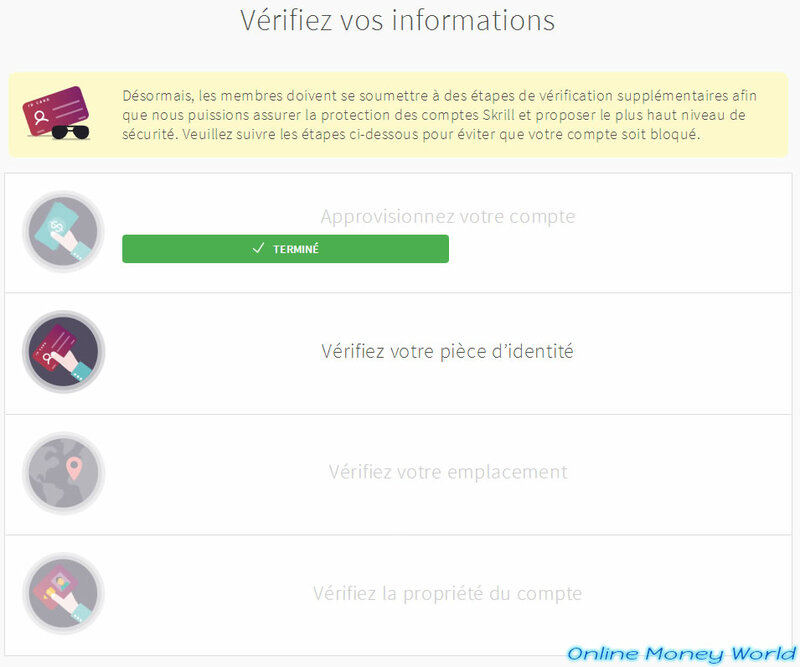 For some time, Skrill (formerly MoneyBookers) requires that you verify your account to fight against online fraud. 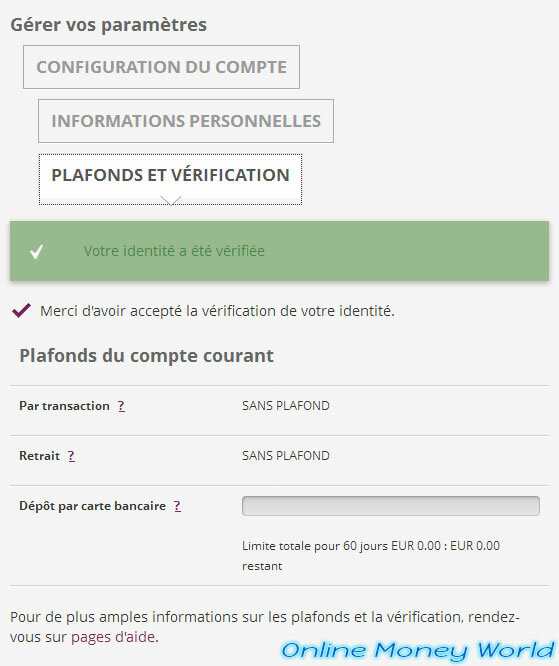 If this message appears in your Skrill account, click on the "verify your identity now" link available at the end of this message. Alternatively, you can also go to your Skrill account settings. In the "Limits & verification" tab, click on the button : Verify my account. 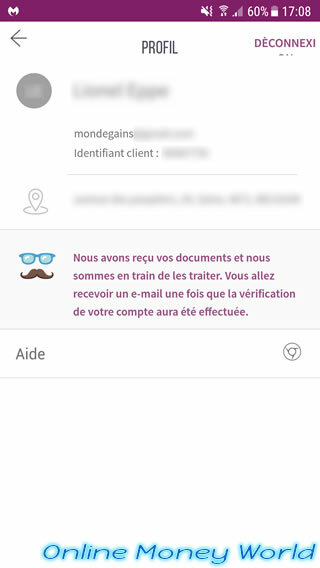 On the "Verify your details" page, click on "Verify your ID". 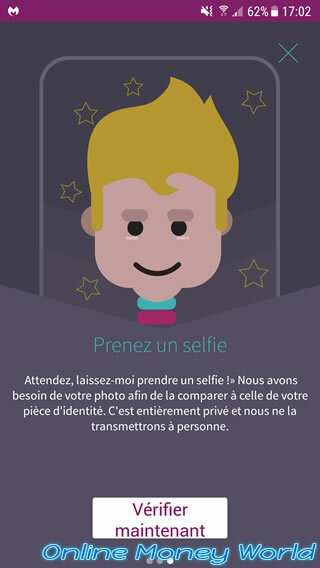 To check your Skrill account, you will need to take a picture of your ID card and a photo of yourself. 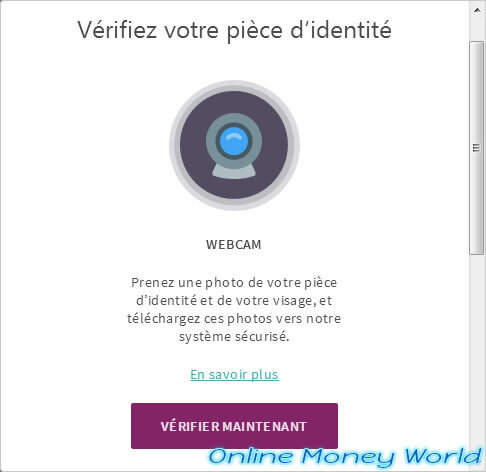 If you have a webcam connected to your computer, you can check your account from your computer. 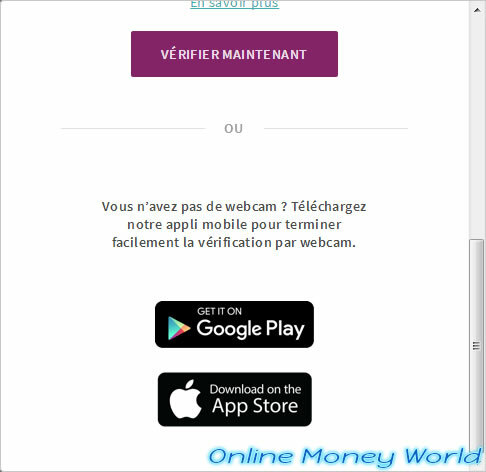 Otherwise, you will need to use their mobile application on your smartphone (Android or iOS). 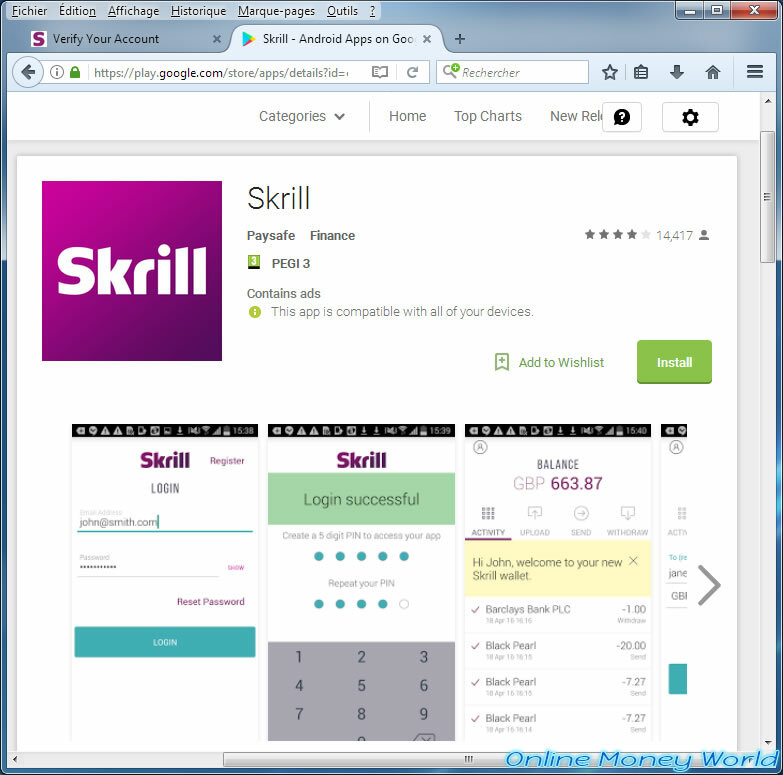 In my case, I used the Skrill mobile app for Android. Once the mobile application is installed on your smartphone, launch it. Log in with the same credentials as on the site. 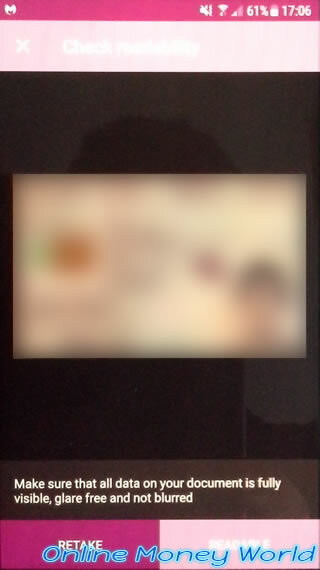 In the mobile app, click on the icon at the top left to access your profile. 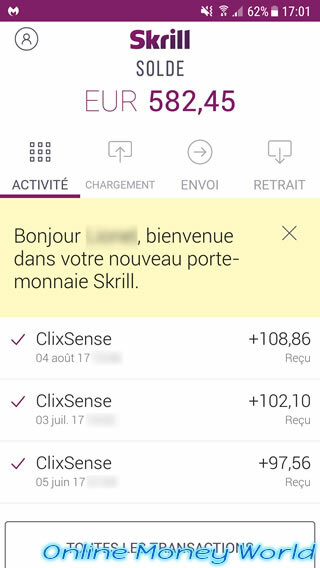 Note : if you also want to make money with ClixSense, click here. 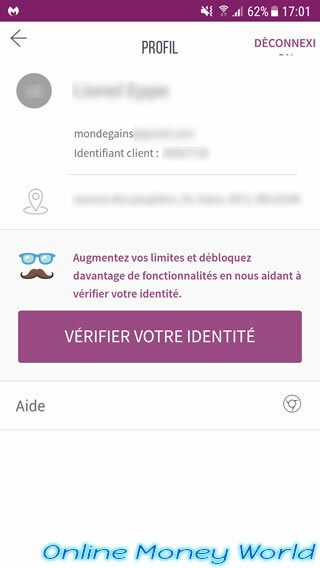 If your account is not verified, the message "Increase your limits and unlock more features by helping us verify your identity" will be displayed. Click on the "Verify your identity" button. 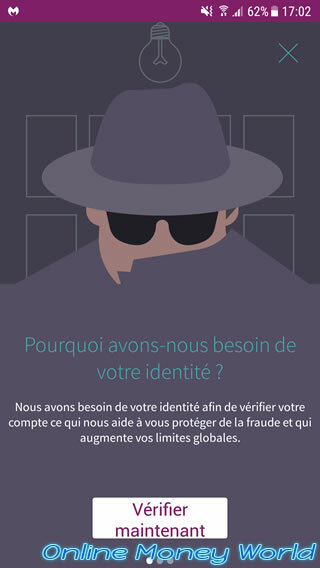 As noted by Skrill, they need to verify your identity to fight against fraud. 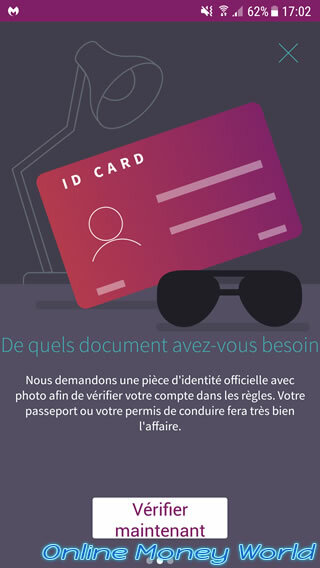 To check your Skrill account, you need your ID card (or your passport or driver's license). As well as a photo of you. Click on : Check now. 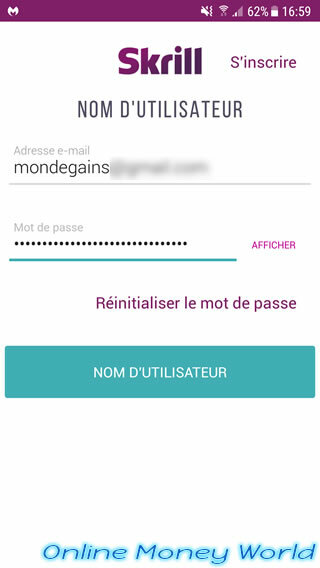 If Android asks you a question about an authorization, click : Allow. 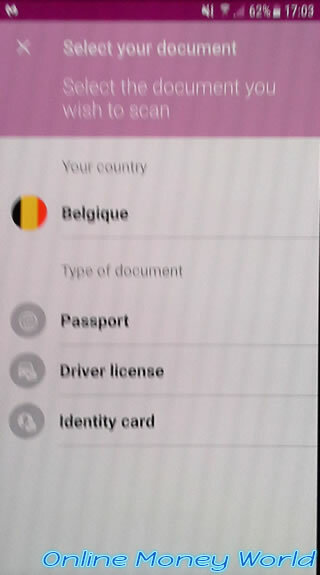 Since each country has its own official documents, Skrill will detect your country. In my case, I will use my identity card by choosing. 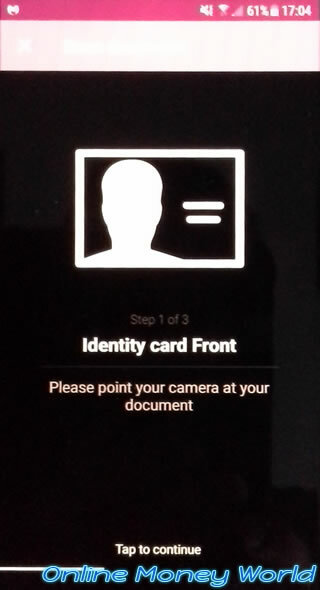 To begin, you will need to take a picture of the front side of your ID card. If the photo is good, click on : Readable. 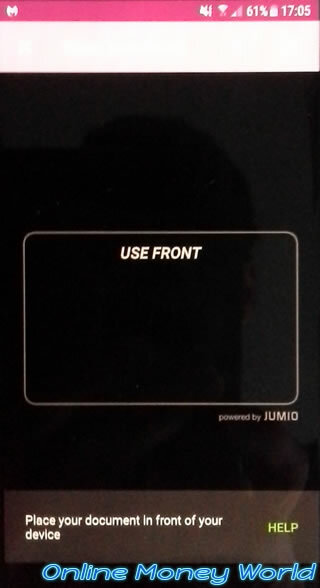 Do the same for the back side. 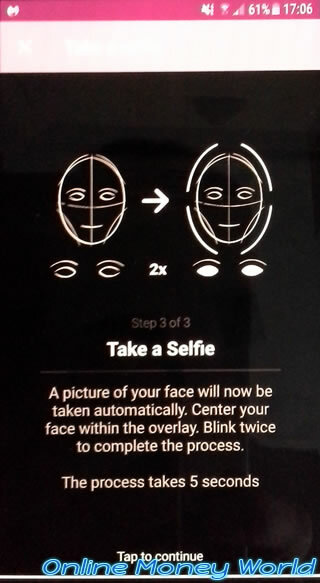 Finally, take a picture of yourself. Then, you will have to wait for Skrill to process your documents. We have received your documents and we are processing them. You will receive an e-mail once the verification of your account has been completed. 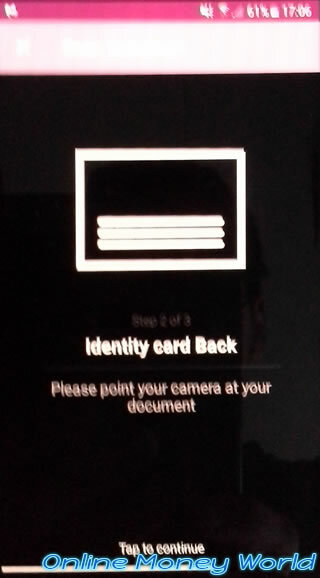 Sign out of your account on the mobile app. 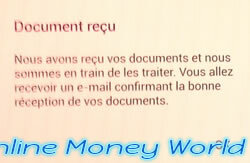 In your Skrill account, this message will remain displayed until Skrill has processed your documents. 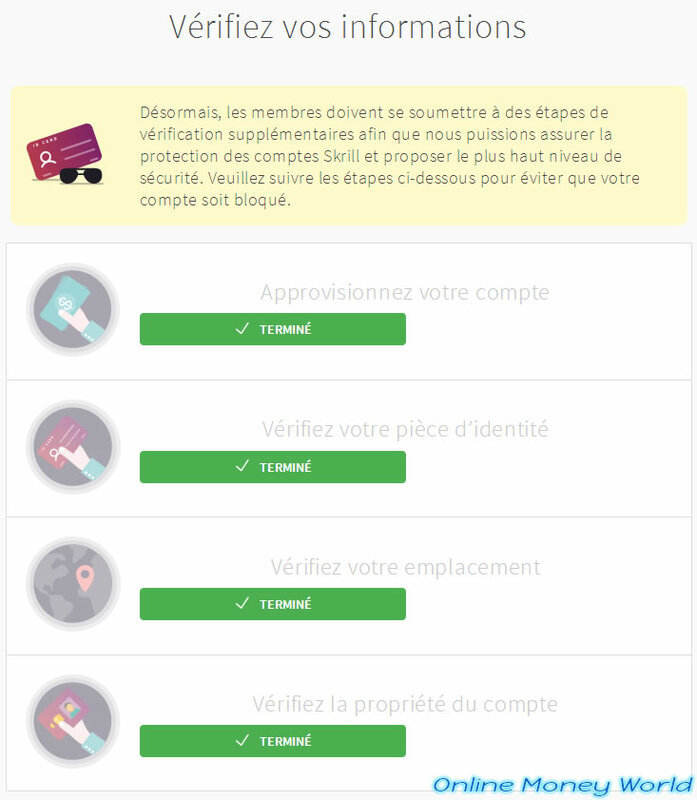 Once Skrill has processed your documents, everything will be green. 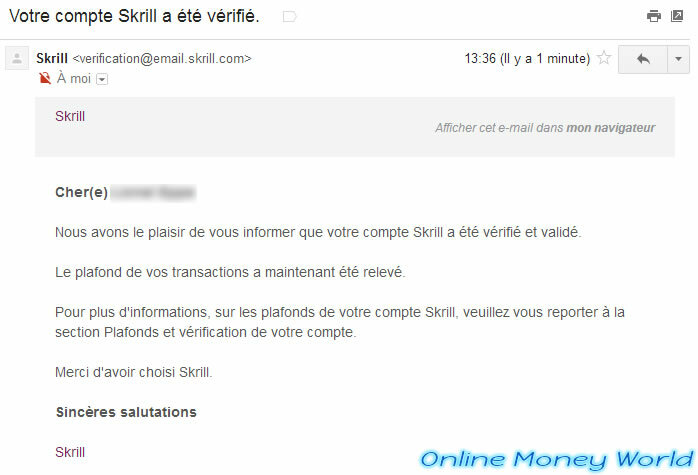 You will receive an email from Skrill informing you that your Skrill account has been verified. 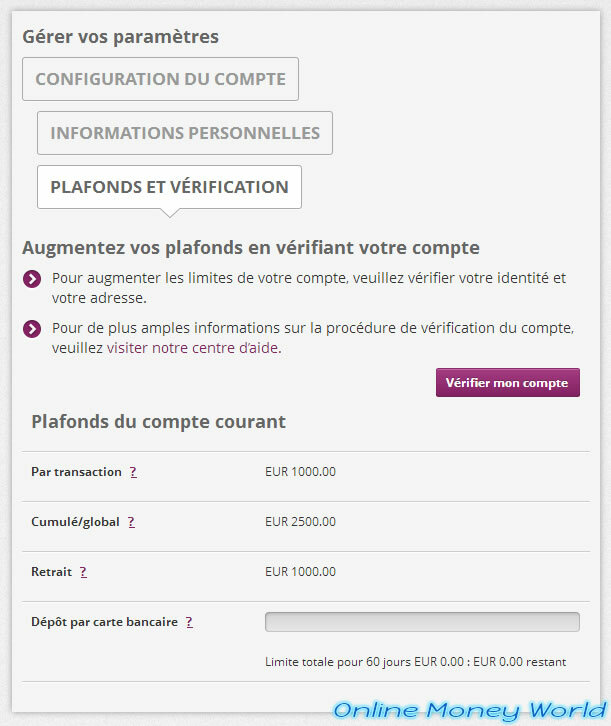 In your Skrill account settings, you will also see that the limits have disappeared and your identity has been verified.